This is a briefing note designed to be used to chat through the issues with new clients. 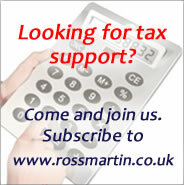 You receive tax relief when you make contributions into a tax approved scheme. There is no taxable benefit or National Insurance contributions (NICs) due when an employer makes contributions on your behalf. There is an upper limit on the amount that you can contribute tax-free into an approved scheme each year and over the life of the scheme. Pension funds are tax-exempt and so your income grows within your fund tax-free. Upon retirement, under new rules a pension may either taken as a taxable lump sum, of which one quarter is tax free, or you may draw it down gradually. Unused allowances may be carried forward from the previous three years, so greater contributions may be possible from the outset. Pension schemes can be expensive to administer; but personal pension schemes may benefit from low charges. Self-Invested Pension Plans (SIPPs) are an alternative option: you select your own investments. All employers are required to offer workplace pensions with a phased introduction which means that most small employers should have already set up their scheme. Companies may set up their own schemes. These can be approved schemes which means that they qualify with HMRC's requirements, and are tax advantaged. However, unapproved schemes can also be an interesting alternative in remuneration planning. Auto enrolment: workplace pensions a guide for employers. Pensions: tax rules & planning: This provides an up-date on the current rules. This includes detailed worked examples and a step by step guide to help work through the proposed claw back of tax relief. Pensions: tax planning guides:Index to our subscriber and freeview pension guides. Employer Funded Unapproved Retirement Benefit schemes (EFURBS) are unapproved schemes. These have been a popular component of many mass marketed tax schemes. Disguised remuneration (anti-avoidance measures) were introduced in 2011 which go some way in restrict their use in making loan backs to employees. For more tax planning guides for directors see Tax planning for directors which has a summary of the latest tax guides & checklists which cover this topic area.